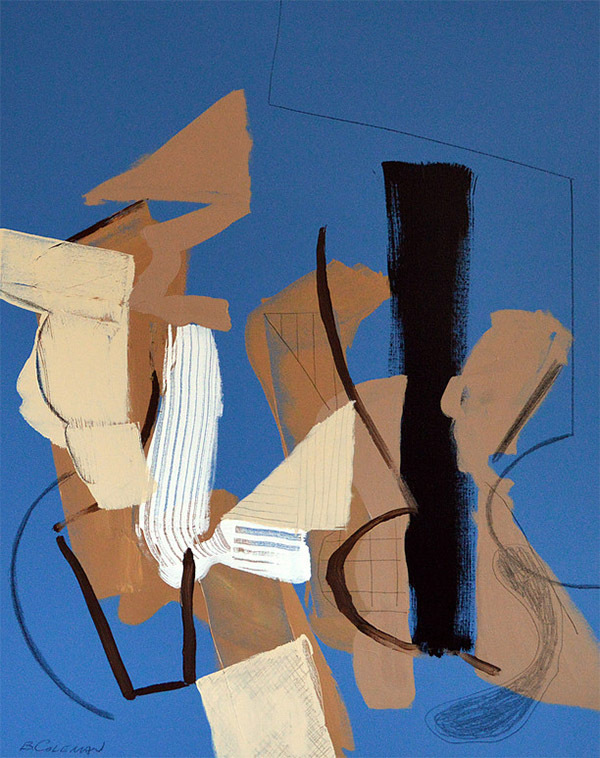 It’s in the notes, Brian Coleman, 2014, 60×48. Brian Coleman is an American painter with an exciting style of painting. 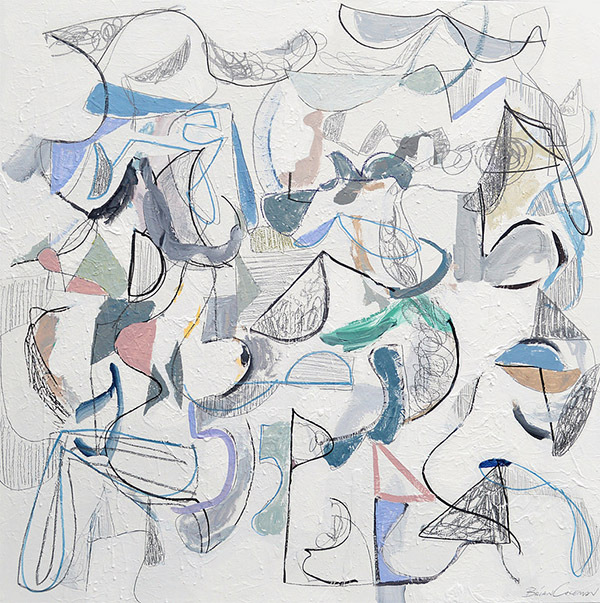 His works are becoming increasingly popular across the U.S., allowing Brian to land several coveted art commissions, in addition to recently being selected as one of 12 Artists You Need To Know in art journalism piece by Carrie Waller. Over the years, he developed his style by working with emotions and experiences in his artwork. 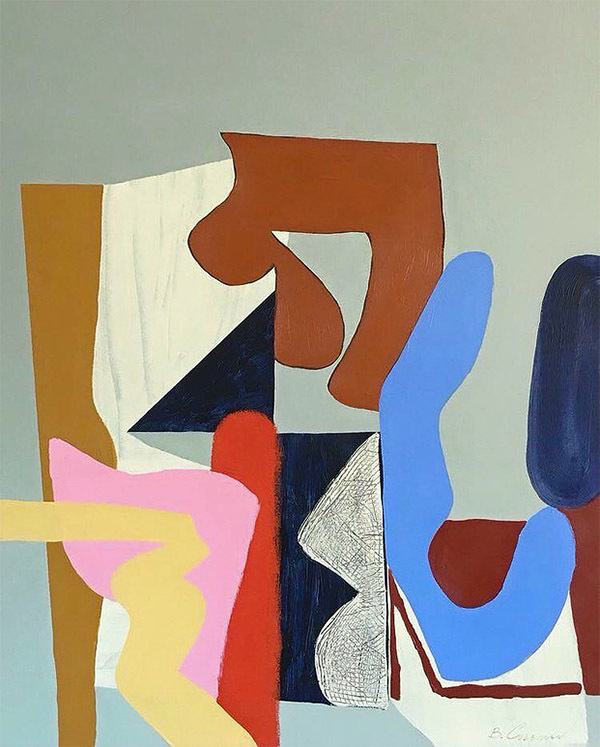 By building layered surfaces, Brian Coleman creates environments where pieces either connect or drift away from one another, mirroring our surroundings and lives that are forever changing. I enjoyed the opportunity to interview Brian and learn more about his creative inspiration and dynamic career as an artist. Jacquin: How do architecture and interiors influence your work? Brian: Structure, textiles, angles, lines, form, furniture (chairs) has always been appealing to me. My work consists mostly of looser and structured form and color which go hand in hand with Architecture and interiors. 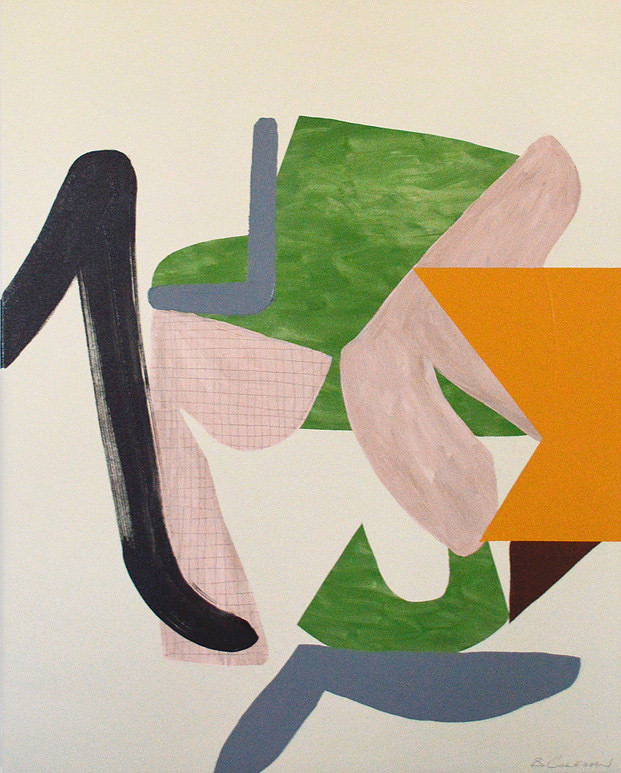 Heart Not Head, Brian Coleman, 2015, 48×48. Available at Anne Irwin Fine Art. Brian Coleman’s art on display at The George Gallery in Charleston, SC. 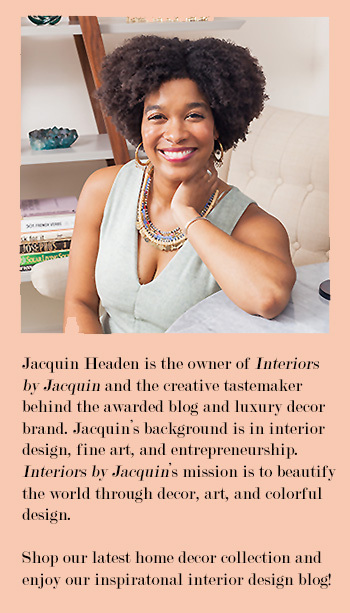 Jacquin: What inspired you to become a painter/artist? How did you start? interesting in High School / College where I started to explore painting on a regular basis. 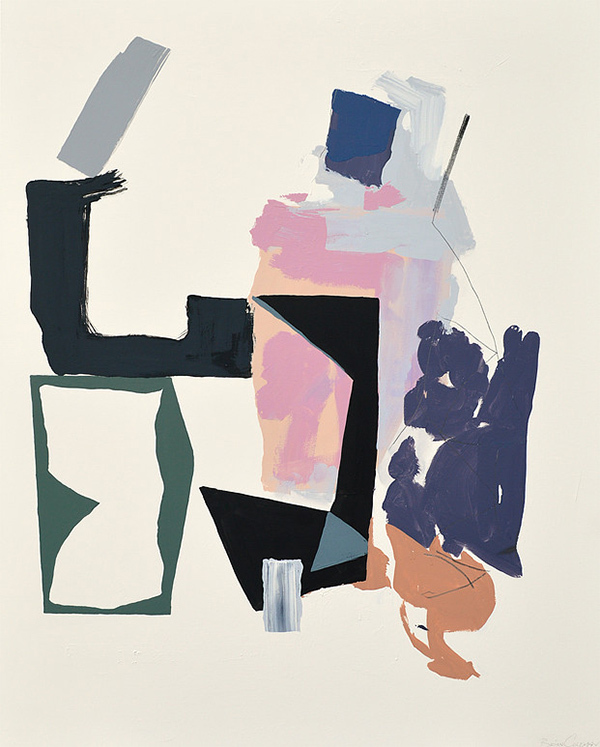 Layered Form 4, Brian Coleman, 2016, 30×24. Anne Irwin Fine Art. 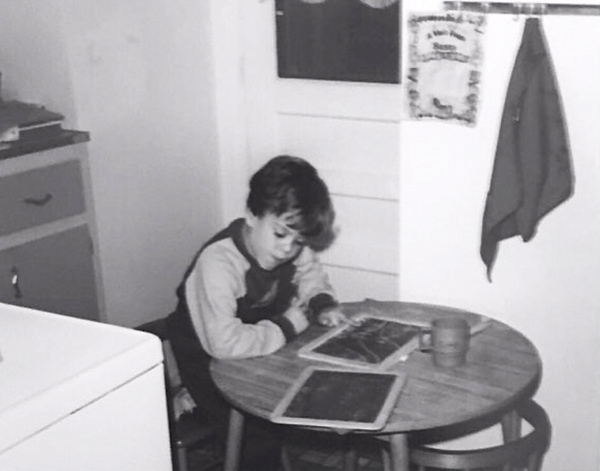 Brian Coleman’s original art room “studio” in the 1980s. He started young! Jacquin: What has been your favorite work you created so far? Brian: It’s hard to choose just one over another. They have all taught me something in one way or another throughout the years. Jacquin: I love the geometric shapes in your artwork. How do these shapes represent your emotions? 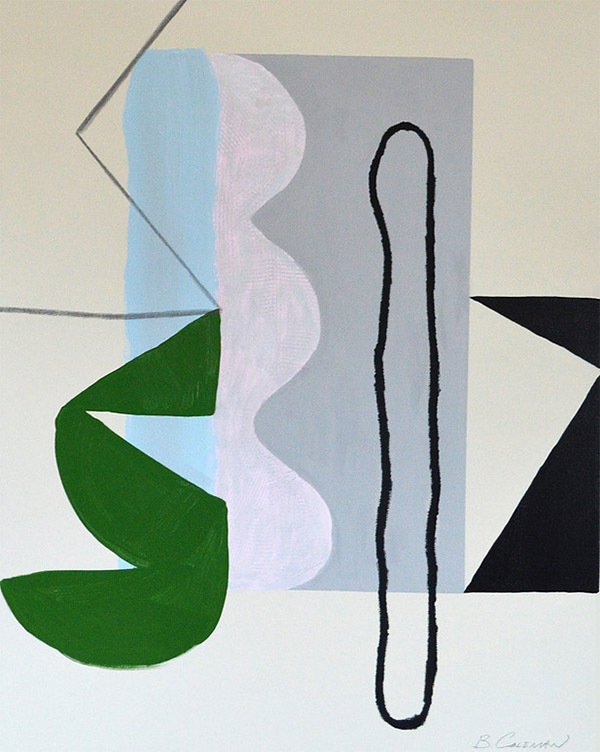 Brian: The forms and shapes geometric or organic are influenced by how I am feeling at the time. For instance one day i may be painting more structured geometric shapes and another day may be looser organic forms. Depends if things in life are more up in the air, chaotic or content. 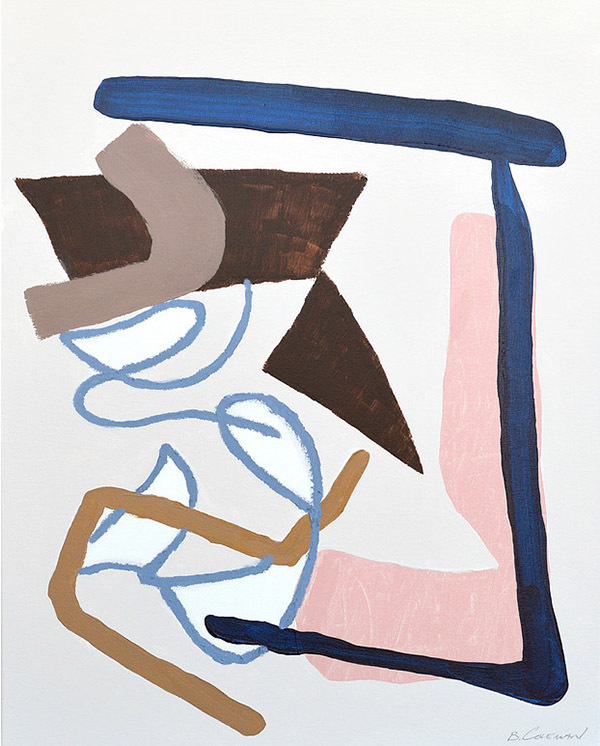 The Ins And Outs, Brian Coleman, 2016, 30×24. The George Gallery. Layered Form 6, Brian Coleman, 2016, 30×24. Anne Irwin Fine Art. Jacquin: I see that you studied graphic design initially. How does your graphic design knowledge come into play in your artwork? shape, texture, line, space and value while at The Art Institute which has given me a great foundation and allows me to just paint without thinking too much because of that understanding. Layered Form 7, Brian Coleman, 2016, 30×24. Anne Irwin Fine Art. Layered Form 3, Brian Coleman, 2016, 30×24. The George Gallery. Jacquin: Howeasy or difficult has it been to develop a business as an artist? How has your journey been with arranging places to show your artwork, working with galleries, etc.? Brian: It’s never easy, I work hard with and alongside my galleries I am in. You have to try and balance your personal life with studio time, replenishing work, building up pieces for shows, the business side, etc. I starting showing at some galleries on and off since High School. I have been fortunate with most of the galleries that I have worked with over the years to go pretty smoothly. I have a great business and personal relationship with both galleries I am represented by currently. 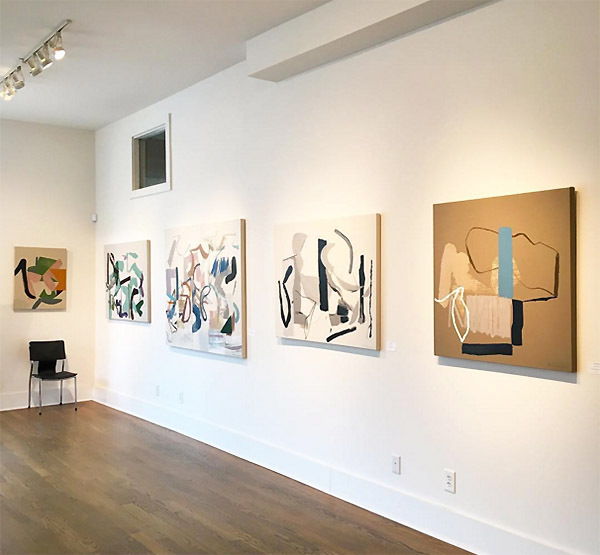 The George Gallery, Charleston, SC and Anne Irwin Fine Art, Atlanta, GA.
Jacquin: What has been the most influential or memorable moment for you as an artist so far? Brian: July 2014 when I began to paint full time. (Left) Brian Coleman standing next to one of his works of art. 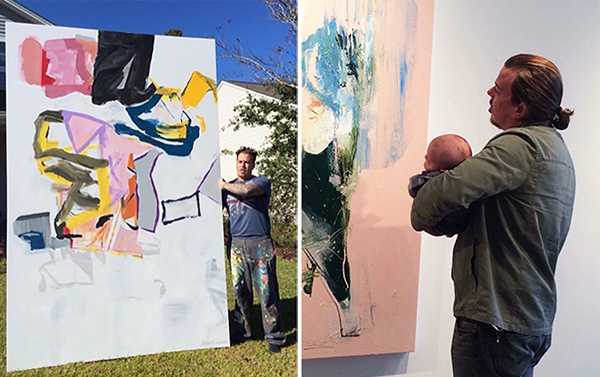 (Right) Brian’s son experiences his first art showing. Brian Coleman’s artwork is popping up everywhere! 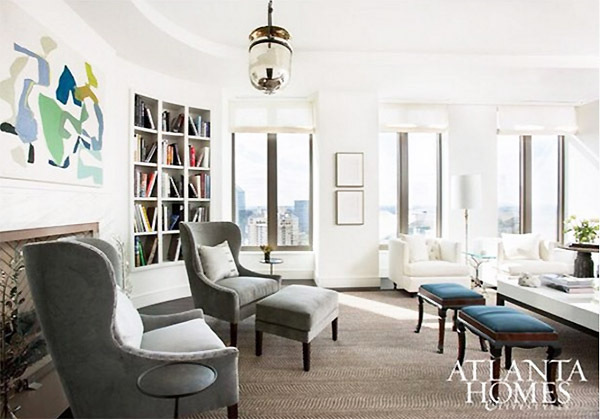 Here is a recent Atlanta Homes editorial (above) featuring another one of Coleman’s dynamic paintings. Visit Brian Coleman’s Instagram page for more creative inspiration and behind the scenes photos. You can learn more about Brian’s past works and gallery representation at his website Brian Coleman Art. See more features from the Artist Spotlight Series here.